Mike Brandly began his auction career in 1979. He is president of Brandly & Associates, Inc. and is an Auctioneer for RES Auction Services, a large real estate auction brokerage based in Ohio. Mr. Brandly’s appraisal company completes over 150 appraisals per year for Probate, Civil and Bankruptcy cases. He holds a weekly auction at his facility in Groveport, Ohio, a twice-monthly car auction for Goodwill Columbus (Ohio,) various on-site auctions and other special-event auctions throughout the United States. Mr. Brandly is a graduate of The Ohio State University with a degree in Mathematics as well as the AMI Certified Auctioneer Institute (CAI). He also holds the CAGA appraisal designation, the Contract Auction Specialist (CAS) designation as well as the AARE real estate designation. 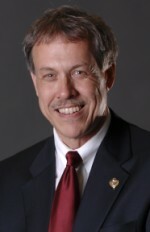 He is a Former Director for the Ohio Auctioneers Association as well as a member of the Indiana, Kentucky and Michigan Auctioneer Associations. Mr. Brandly is a Life Member, Beginning Auctioneer Advisor and Presenter for the National Auctioneers Association. Mr. Brandly also serves as an auction law and customary practice consultant, primarily providing this service to attorneys throughout the United States (Ohio, Indiana, Louisiana, Texas, New York, California, Virginia and Oklahoma thus far) representing clients involving auction law compliance, customary practice, regulatory investigations and the like. His work has encompassed analyzing video recordings of auctions, depositions, lawsuit claims and auction records including accounting and contracts. Mr. Brandly is Executive Director of The Ohio Auction School. His other teaching responsibilities include frequent Real Estate and Auctioneer CE classes all across the United States including post-licensure. He serves as Distinguished Faculty at Hondros College and has also instructed at Columbus State Community College. Mike is a faculty member of the Certified Auctioneers Institute held at Indiana University, an instructor at the America’s Auction Academy, an Instructor at the National Auctioneers Association’s Designation Academy and is also approved by the Supreme Court of Ohio as a Continuing Legal Education instructor for attorneys.